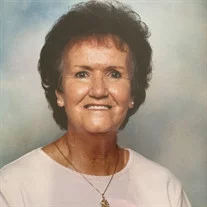 Mrs. Gloria Maxine Jenkins, age 84, of Elizabethton, TN passed away Wednesday, February 6, 2019 at her residence. She was the daughter of the late Frank and Pearl Barnett. Mrs. Jenkins worked for Texas Instruments as an electronic assembler for eighteen years until her retirement. She was a member of Valley Forge Freewill Baptist Church and served meals with the Women’s Ministry. She enjoyed gardening and was known for her immaculate flower gardens and her work ethic.